This era can very well be termed as the era of technology and science. These days, as you may have noticed, science is focused on finding alternative energy sources. A lot of debate and research is being done on wind and solar energy and there have been so many ideas popping up and being put to use to harness them and create electricity from them. The solar panels and how to use them has been floating in the market for quite long and there have been many windmills that have been installed to harness wind energy. But they are becoming problematic. They are not only taking up too much space but they are also resulting in the killing of birds and act as a potential threat to private planes. Keeping all this in view, Empa’s ‘Centre for Synergetic Structures’ joined forces with the University of Applied Sciences Northwest Switzerland, the Federal Institute of Technology in Zurich (ETH Zurich), and the Federal Institute of Technology in Lausanne (EPFL) to come up with something innovative and efficient. The key concept is that they will harness wind energy without the problems associated with the windmills. 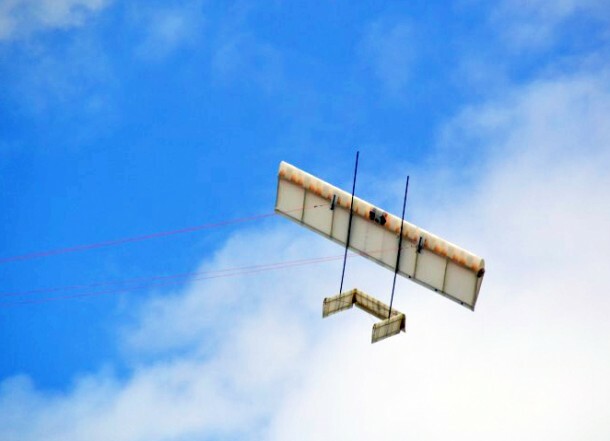 Using the technology of Tensairity, owned by Empa, Empa’s engineers have created what they are calling TwingTex TwingKite or just Twing for short. It is a kite, quite lightweight, which by design is supposed to fly at heights of more than 100 meters above the ground. The winds at this height are quite strong and keep blowing for longer spans. The kite will be attached to a reel at the ground station via line. The tension created by the wind in the line will get the reel into motion and then using electromagnetic induction electrical energy will be produced. However, this is not a perpetual machine and so when the kite reaches its maximum design height the reel pulls it back so that it can rise again and generate more electricity. According to the team, these flights are two minutes long before the reel needs to pull the kite down and they can create significant amount of electricity. 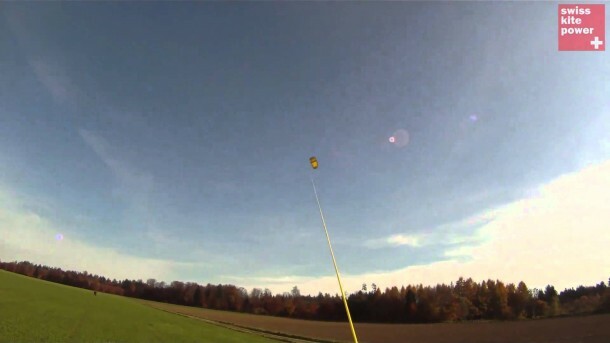 The kite, Twing, is basically airfoil, quite rigid, and is resilient to crashes yet lightweight and very much maneuverable. Engineers are busy on working as to how to improve the design of this kite so that it can survive variable winds and be more efficient. It is very sensetive techonology to generate electricty by air. The advantage is that the kite is under control. Tip the nose forward and it stops climbing and starts diving. The energy required to reel the line back in would be practically nothing. When it’s all reeled in again, top the nose up and let it start pulling up again. Imagine the generator is like the back wheel on your bike with the kite string wrapped around your bike’s crank. The kite pulls up hard in the wind until all the string around the crank is out, then you to it down and pedal backwards against no resistance to wind it back up. It’s an ornithopter being driven instead of driving. 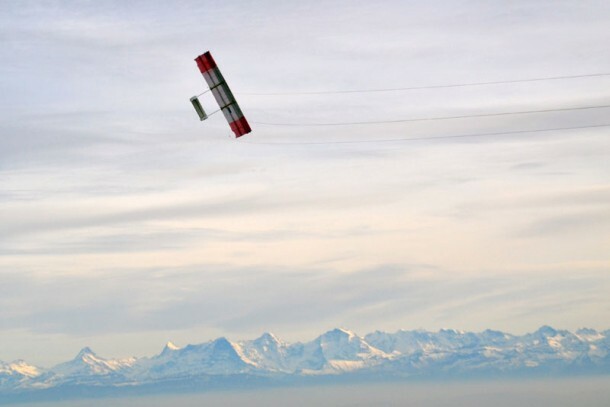 about the kite that produces electricity, who is gonna pull back the string to the normal level (100 mts).energy produced by the kite=energy used by us to get backing in position. then what is the advantage?